Perfect for layering underneath your favourite Filson jacket, the Men's Filson Ridgeway Fleece Vest has been crafted from 100% Polartec® thermal rib knit polyester, sure to keep you warm and cosy whether you are out exploring the country or simply heading into town. The full zip front fasten will keep those chilly winds at bay, whilst the lightweight feel ensures that the Ridgeway won't weigh you down. Featuring an inner storm flap, and a micro-fleece chin guard, you will be protected from any unpredictable weather, with the elasticated hem offering a perfect fit to not only keep you on-trend, but to keep the cold air out. Designed with practicality in mind, this durable fleece vest features two lower front pockets, as well as an upper chest pocket, providing the ideal place to store your personal items whilst you are out and about. 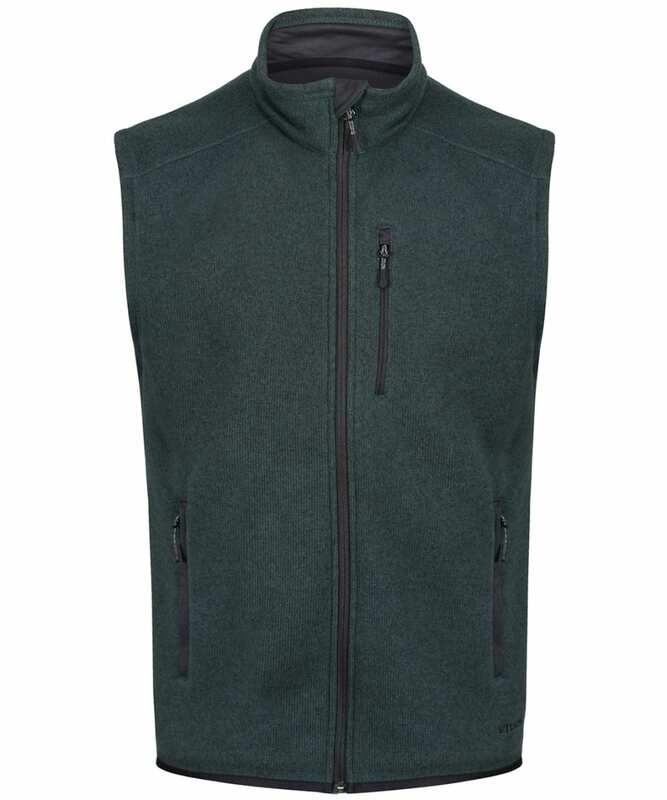 The Ridgeway Fleece Vest is finished with signature Filson branding for that added mark of quality and style.